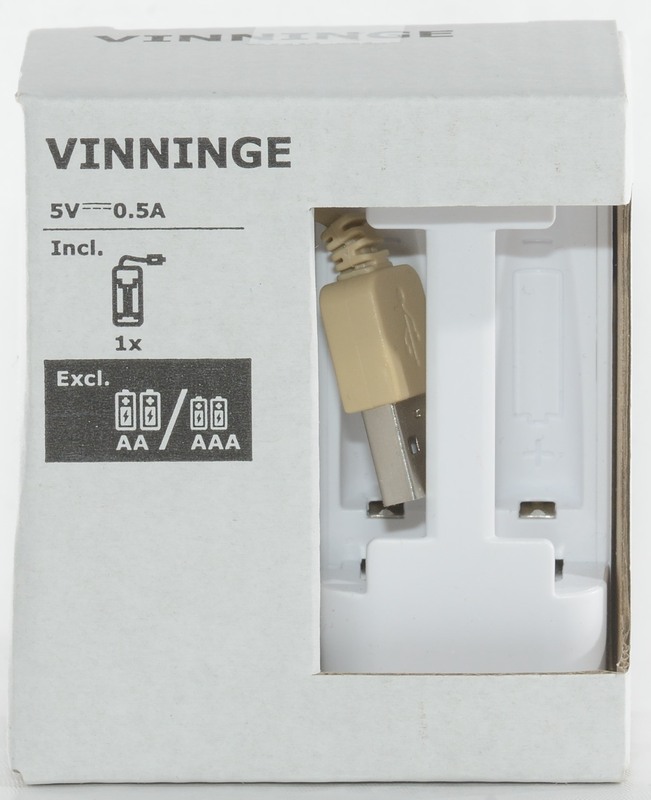 A very compact usb powered charger from Ikea, it can charge two AA/AAA cells. According to the manual it uses -dv and a safety timer, it sounds good. 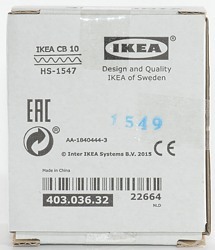 The charger is packed in cardboard box with an opening. 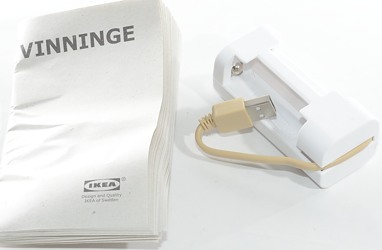 There box contains the charger and a manual in 27 languages. 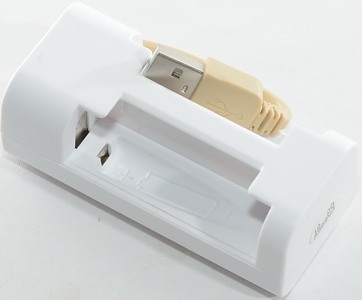 The charger is usb powered and has a fixed usb cable that can be packed into the charger. 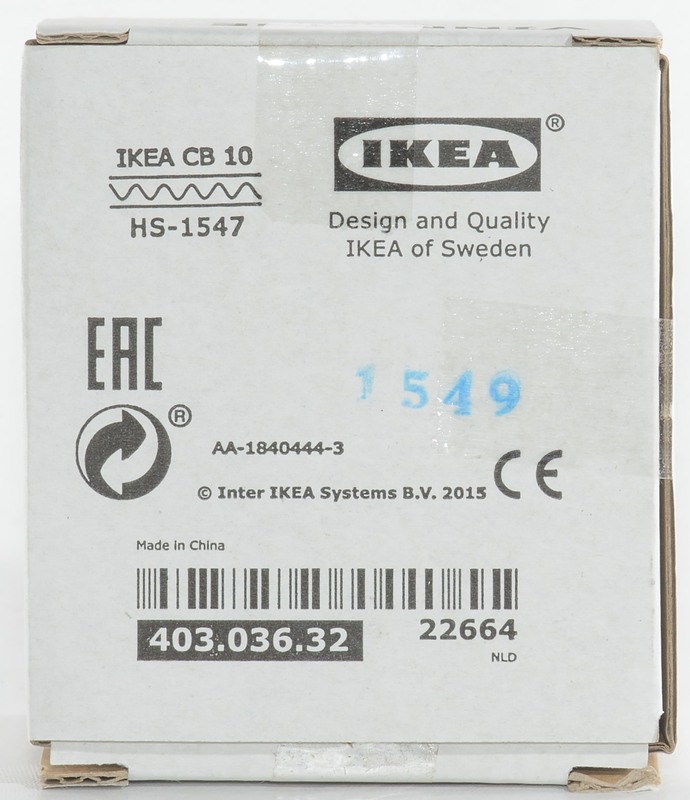 With a rated current consumption of 0.5A it will work with just about any usb port. There is no buttons on the charger, only a single indicator hidden below the plastic. It will light up when charging and turn off when both batteries are charged. 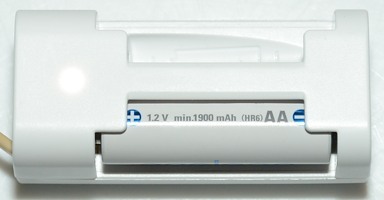 The charger uses a two-step connection for AA and AAA batteries and will automatically change charge current depending on battery size. 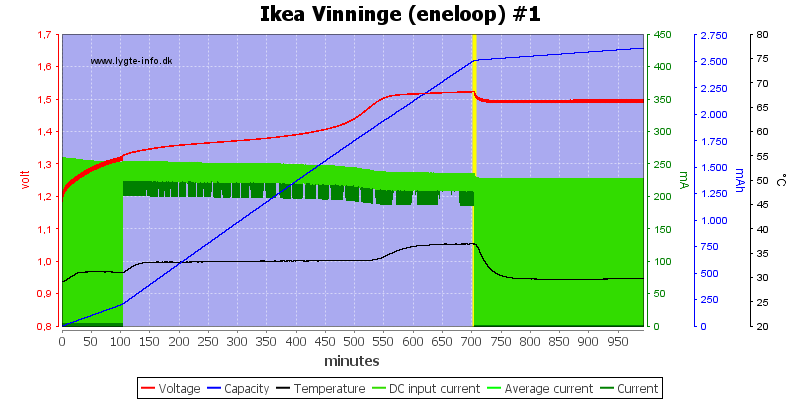 Discharge battery with less than 0.15mA when power is disconnected. 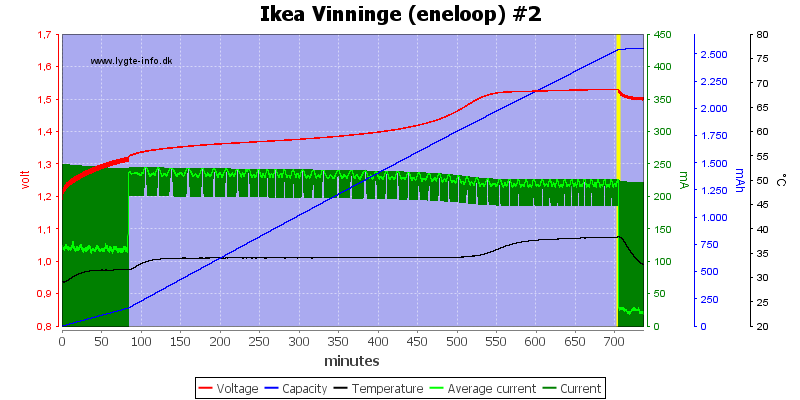 Charge battery with about 24mA in trickle current, when charging is done. 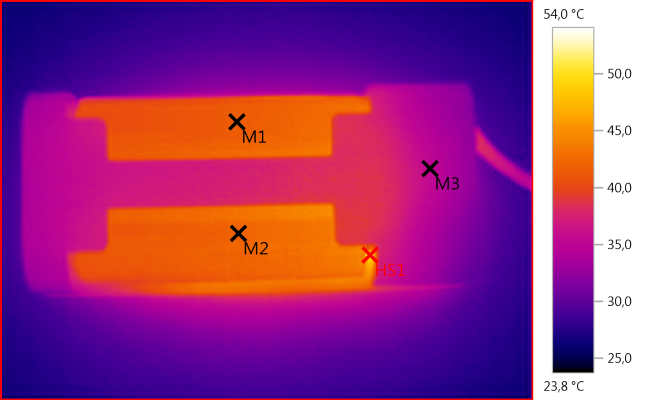 The led is common for all batteries and will first turn off when all are charged. It takes about 80 minutes to detect a full battery. 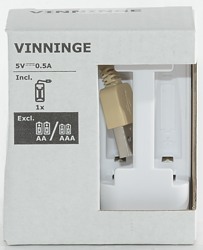 The charger uses a 0.22A charge current, but there is no trace of a -dv termination here, only a timed charge. I would not really expect a -dv termination to work at 0.22A charge current. 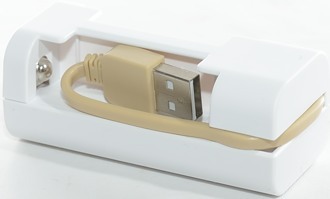 The usb current consumption is the same as the charge current, i.e. it uses a linear circuit. The second slot looks the same, here I have removed the usb current, this makes it easier to see that the initial the current is only 50%. It looks like the charger switches to full current at about 1.3 volt. 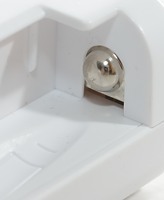 The charger uses trickle charge when finished with the full charge. 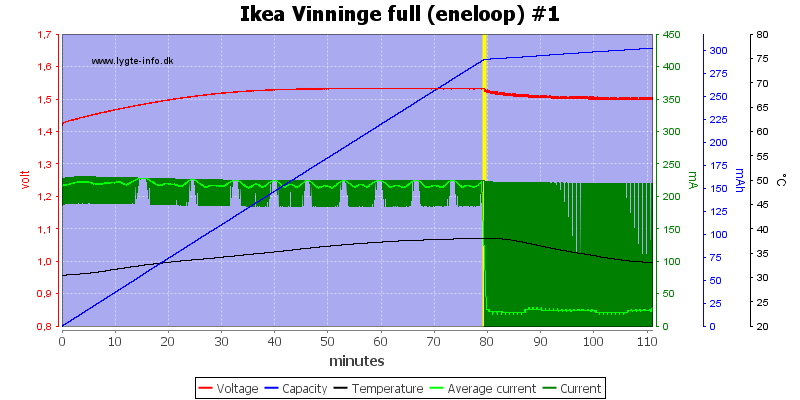 The high capacity cells do also terminate on time and it looks like the time is just about enough to fully charge them. 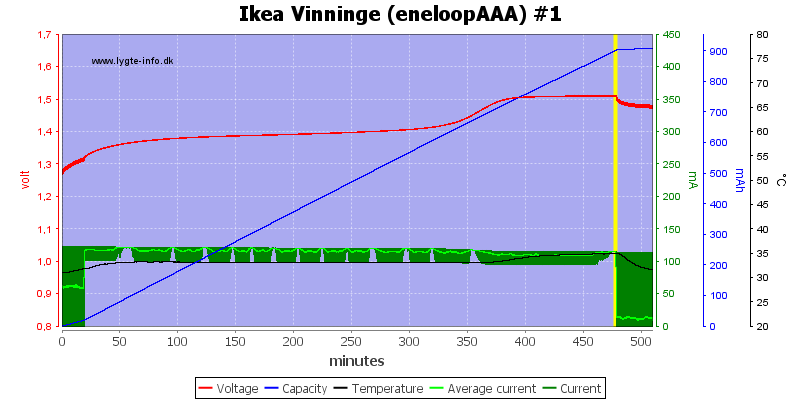 The AAA cells is charged with half the current, initial current is also lower. 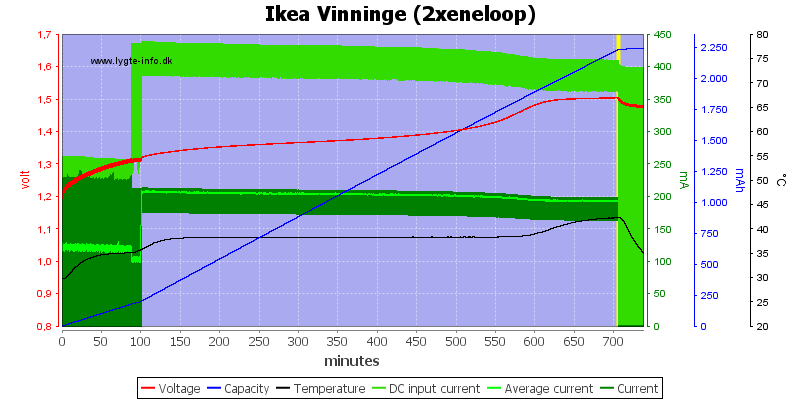 The termination is probably on a timer, there is no -dv to detect at this low current. The charger will stop when a full cell is charged, but not very fast. With two cells the usb current doubles to about the rated 0.5A, this means the two charge circuits runs in parallel. Again termination is on time. The charger is a bit warm, but not too much. The charger needs about two seconds to initialize, then it uses pwm to get half current. When switching to full current it will still pause about once a second to check voltage. Trickle charge is a 1 second pulse each 9 second, this gives an average current of about 24mA. Charging empty 2450mAh batteries in it works perfectly, but remember to remove them when the charger is finished. Trickle charge is not good for LSD (Low Self Discharge) cells. 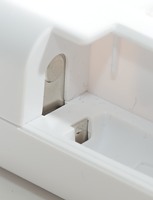 With smaller capacities or not empty cells the charger will overcharge them. The charge time is rather long, 700 minutes is nearly 12 hours. My first idea was that it could be used for travel charger, due to the compact size and a few overcharges during travel is not a big deal, but the long charge time will spoil that in some circumstances. 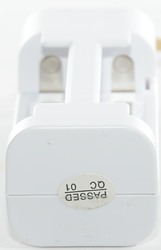 The charger is acceptable for occasional usage, but not as a regular charger. A smarter charge circuit could have double the charge current without using more usb current. This would have improved the possibility of a correct termination.